Air conditioning repair, installation and replacement. Complete heating repair, installation and replacement. Complete plumbing services for your home or business. Full-service general contracting services. Factory-trained technicians. Complete roof repair, replacement and installation. Fully licensed electrical services. Master electricians. Is your air conditioning system making odd noises or failing to provide your house with a comfortable temperature? Our HVAC company specializes in providing efficient and effective services for air conditioning in Jacksonville, FL. 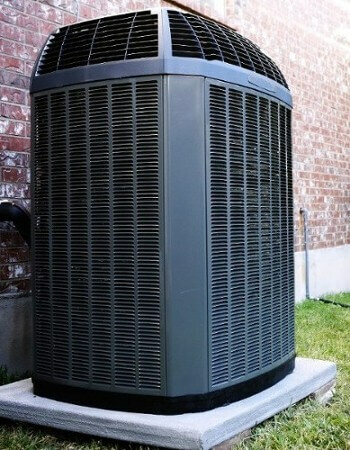 We have a team of knowledgeable AC technicians who can make any necessary AC repairs, no matter how minor or major. From irregular cooling to faulty condensers, rely on our more than 75 years of combined experience to solve your AC problems. Over the last several decades, our HVAC company has earned a reputation for prompt work and effective services. We are knowledgeable about all of the trusted air conditioning brands that are available from our business, including Trane™, Carrier™ and Lennox™. Our crew takes pride in our air conditioner work, and we continuously strive to provide the highest level of quality workmanship. We are confident in our services and are pleased to offer our customers a two-year labor warranty and a 10-year warranty on all replacement parts. If you are having any trouble determining when you should invest in air conditioning repair services, you need to look to the professionals from our local air conditioning team. The staff at our HVAC company is able to diagnose all air conditioning problems, as well as come up with affordable solutions that can return your system to optimal performance as soon as possible. In order to streamline our services, you can look for a number of signs that indicate your air conditioning unit is malfunctioning. Once you explain whatever problems your unit is experiencing, our technicians can zero in on the solutions and offer the most efficient possible repair experience. There are a number of issues that may be contributing to the uncomfortably high temperatures within your home. From over-tasking an aging AC unit to dirt and grime building up in the vents and ducts, a number of possibilities might be causing your HVAC system’s problems. When our skilled and experienced technicians visit your home, they perform a thorough inspection in order to quickly determine what repairs are needed to lengthen the lifespan of your unit. Are you interested in learning more about the air conditioning work from our company? Contact us today to find out the different AC repairs we provide for our clients! We proudly serve homeowners located in Jacksonville, Jacksonville Beach, Neptune Beach, Atlantic Beach, Ponte Vedra Beach, and the surrounding areas. Mike came out to. Service our AC and install a return vent. Did a great job and represents the companies emphasis on quality workmanship and integrity. Highly recommend this Veteran-owned company to anyone who is looking for a reliable company to help them with home repairs! Truck #308 came out to home with the understanding that I may need a new system. The technician came out and was able to repair my system at a minimal cost. Needless to say that I will be using them again and I highly recommend using them. Great experience with Jim B and Sean C on our AC that needed some maintenance. They found an issue and were quickly able to remedy the situation; keeping the house nice and cool. Wonderful customer service from all involved, thank you!